I often hit the wall, after a long week or when I have PMS. But this is not that kind of wall. 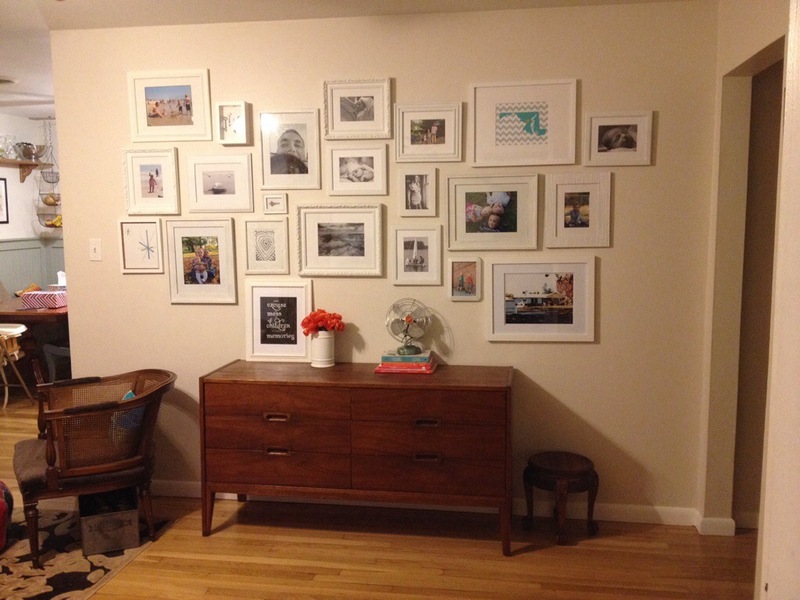 This wall is a little midcentury meets atomic meets eclectic sentimentality. 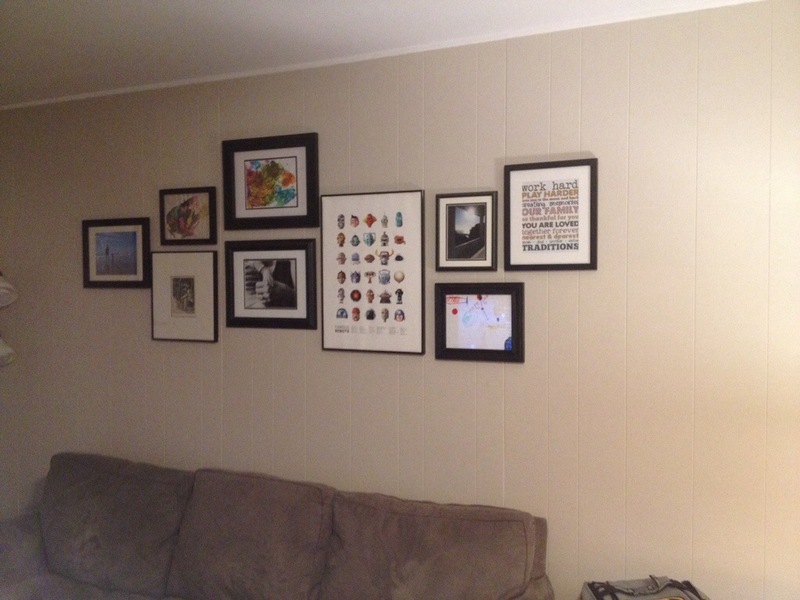 This is THE photo wall. It constantly changes, but there are several permanent fixtures. The “first home” key, the brokebackhusband peering over the camera, the “forever home” picture. The latest additions are the Maryland print from etsy, the atomic art I sketched when inspired by an eBay item (which my husband is thankful I did not buy), and soon to come a funky letter ‘N’. The Firefly nod, and some Maggie art are coming soon. Any other pop-culture / fangirl art ideas? 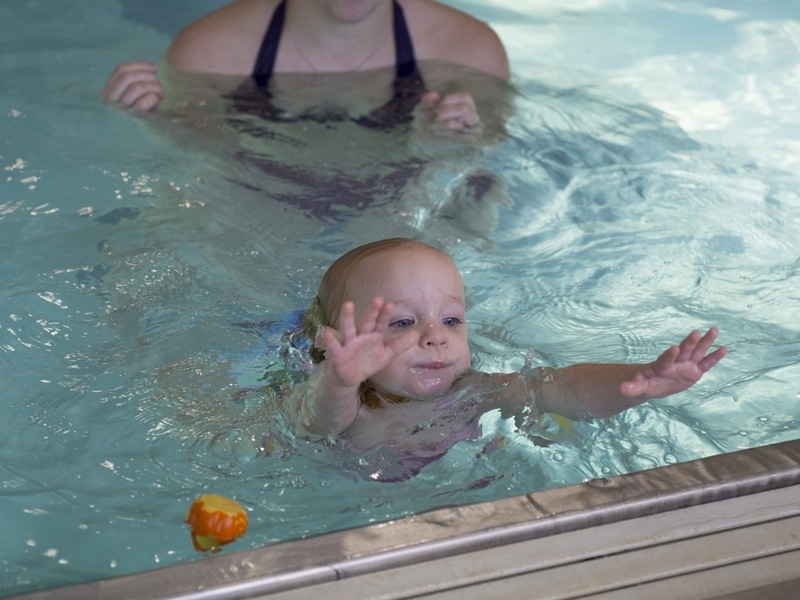 Just some photos of our littlest swimmer from her lesson on Sunday. Handmade- be still my heart! 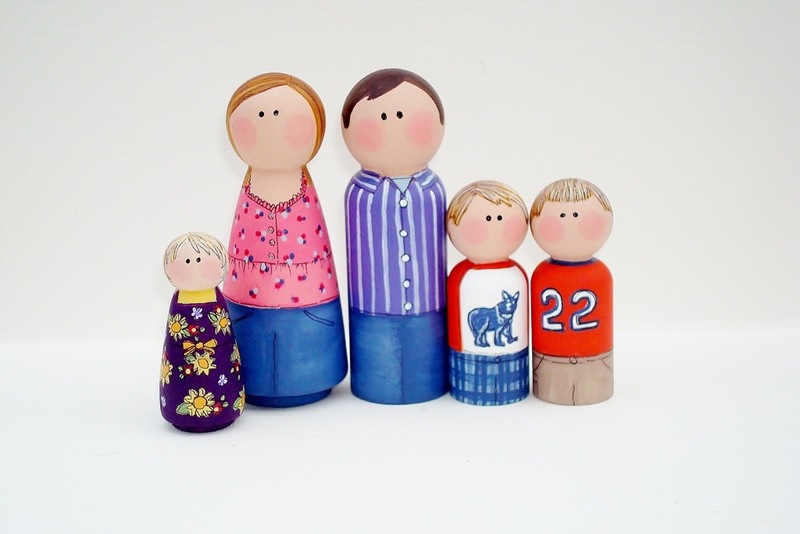 Just had this amazing peg family (for use in the dollhouse) made by the talented artist at the Painted Pine. Is this not incredible?!?! Mag won’t get them till her birthday, but I’m already so excited. (Jack is going to Lego Engineering camp after school on Mondays for 2 months for his birthday present). Henry is toughest to shop for so I’m intentionally waiting till the last minute for him. Do you have a kid who is hard to shop for? How do you manage? Not that my posts are typically filled with delicious and fluffy pastries but sometimes I want to focus on the nitty gritty- the meat if you were. Because its not looking like I’ll ever get around to making a baby book, so I’m probably going to have to copy and collate the entirety of this blog and have triplicate copy- just incase any of my kids want to make sure momma wasn’t a slouch. The Doula biz is in full swing! It’s looking like I’m averaging one client per month, which is just right for our family’s schedule right now. I have a momma who has had a few false-starts (which is to be expected for a first time mom) but after some water and a hot shower and a nap it was clear that today was not the day. We’re ready, baby! Anytime!! I’m in major renovation planning mode. I have some great ideas to spruce up the front of the house (when we solve the double front door problem this spring). I have also been spending some time on Etsy and EBay checking out some vintage and handmade options for the “orange rooms” which are the living room, kitchen and kinda the playroom. It’s clear that when I go more than about a week with a project not in the works I get a little itchy…. Jack has switched to a new swimming class (which a friends from school happens to be in) and he is loving it. And I have learned my lesson that while I understand diagnosing my child is completely meaningless and isn’t a label or stereotype or destiny he has to manifest- I can’t expect the same of others. So I won’t make that mistake again! Henry is responding well to some of the changes I’m making in how I parent him. He needs more validation, more supervision and more positive reinforcement than either of the other two, and I was getting used to parenting being “easy” which is hilarious- because even when it’s easy it’s like spinning around on a baseball bat 10 times and then walking across a tightrope. But regardless- I’m just excited that it seems we are better understanding one another. Maggie, well, she’s a little fish in the water. She’s stringing 2 and 3 words together. She’s trying to count and identify colors and is adorably wrong as often as she is right. I’m ready to disassemble the crib but brokebackhusband is deep in the denial that she is ready for her big-girl bed (which is already in her room) making things awfully crowded! We are gearing up for a family reunion in a few weeks- which I’m really psyched about. But my mom and I are having some minor creative differences as to whether or not it’s safest to drive overnight while kids sleep but its dark or drive during the day while kids are aware and restless but its light. How do you drive?? Late at night? Middle of the day? What would you do if you have 3 kids in one small car for several hours? Your ideas are very welcome- because we are not well practiced in anything but a 4 hour road trip. Any tricks for us or them is much appreciated!! We were at lessons earlier tonight. So at one point she walks over and says “Jack seems to be able to do it but needs reminding about all the steps” -because, like me, he is a natural on his back and looks like a hot mess trying to do freestyle. Me: In my head, ‘I see you were asked to leave…’ What I really said, “I feel he is too young.” And I don’t have a degree in child psychiatry, so there is also that…. I…. I don’t….. I can’t even….. My brain hurts. It must be because it’s LIQUIFYING INSIDE MY HEAD. 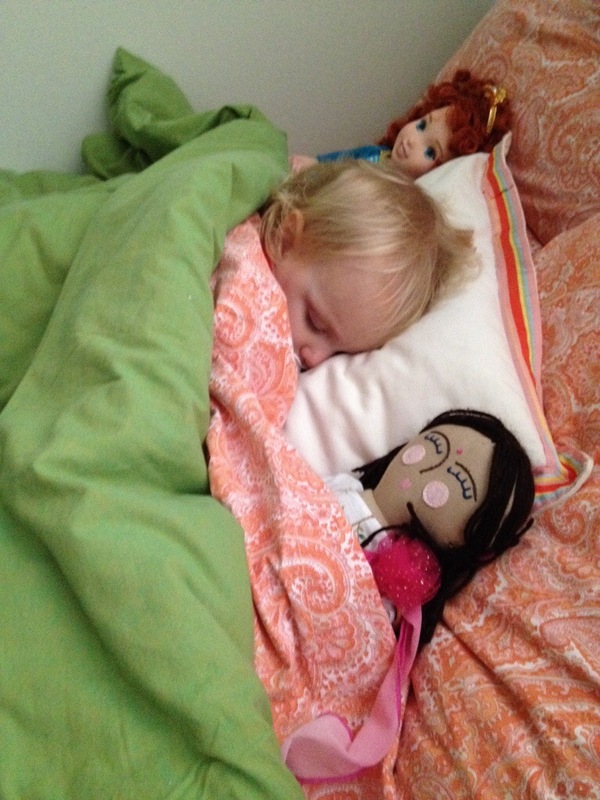 This little stunt of hers came after her big speech about how she loves to teach beginning swimmers…. I’m an impulsive person. (No?! Really??!!) This post contains a few actual curse words and many allusions to curse words. Brace yourself. 87.5% of my posts are knee-jerk statements, emotional downloads or otherwise impulse uncontrolled over shares of what’s new with us. I find a quiet moment and I go on a typing rampage. Just so you know: we are up to swim lessons, Lego engineering after school camp, searching for a local summer pool & switching preschools next fall. But the other 12.5% of my posts are long-premeditated, slow-cooked ideas that I may try desperately to get out of my head, and when I fail I end up here. Writing (confessing) late at night- in the hopes I can finally just go ‘the eff to sleep’ already. I find my mind wandering to these topics while driving, running errands, meditating. I’ve been waiting to be stalked by inspiration but I’ve got nothing! Its a complicated story, really. But the shortest answer to why my kids play with black, brown, blond and (of course) ginger dolls is this: because, well, um, duh.